The following review is the result of a trade. Gamebook author SA asked me to review their work, and I agreed, if SA would in turn review a currently-running IF Comp game. Here is SA’s review of Kane County, which I’m hosting as SA doesn’t have a suitable blog of their own. I also reviewed Kane County. Kane County is a well-written and sharply designed piece of interactive fiction that excels when it comes to gameplay but at the expense of both storyline and character development. The opening section reads, “You’d been desperately trying to outrun the storm overhead and the shadows of your past, but one of them was catching up.” I can’t help but wonder how much more engaging this entry might have been if it were more than just the storm closing in on the narrator. I played twice – first as the extreme athlete and then second as the survivalist (the latter yielding better results for me personally). Both classes offered a very detailed gaming experience which highlighted the authors’ expert grasp of the landscape and its perils. Not once did I find myself questioning the logic of the choices or the difficulties being presented in the various environments. It is in this regard that I feel both Michael Sterling and Tia Orisney deserve top marks. On the other hand, I feel there was a missed opportunity here by simply mentioning the narrator’s past but not allowing it to have an actual impact on the gameplay itself. Kane County, if played well, is not necessarily a short read – I survived long enough to be rescued by a helicopter but it took some time. There were a lot of well-written sections describing different environments and the narrator’s suffering amongst them all but even these started to feel stale after a while. Eventually it read more like an interactive survival guide rather than an interactive story – perhaps that was the authors’ intent but then why peak interest in the narrator’s checkered past at all. An element of drama beyond just the struggle of man versus wild would have helped in my humble opinion. Having someone trying to hunt me down or having another person share the adventure with me to create engaging discourse could have gone a long way in adding nuances to the read. But with all that being said, good and bad, this is still a solid entry that deserves a go. If nothing more, readers will get a sense of how to structure interactive fiction effectively through compelling, well-written verses. 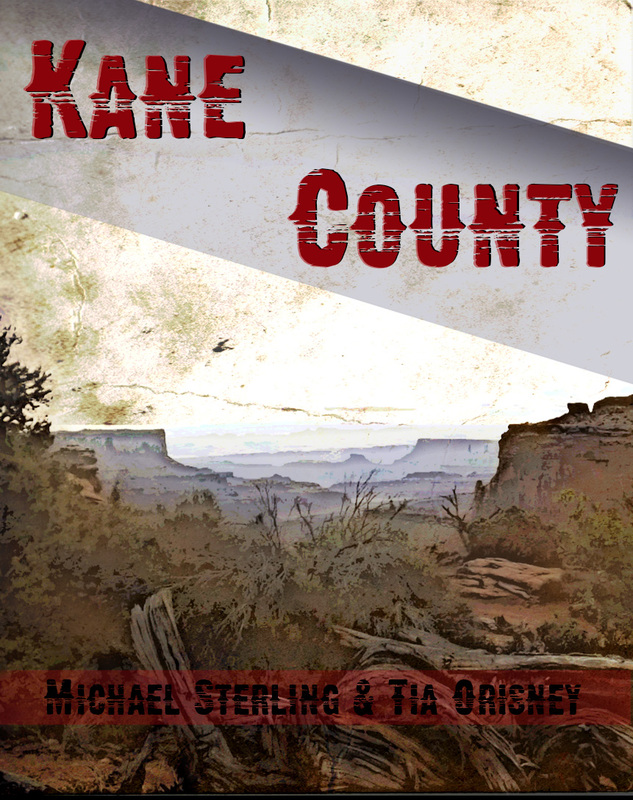 This entry was posted in Competitions, CYOA, Reviews and tagged guest post, kane county, michael sterling, sa, tia orisney by Emily Short. Bookmark the permalink. I don’t think Man v. Nature necessarily needs more conflict (intrapersonal stories are as important as interpersonal ones), but I would have liked to see a more fleshed out PC. I got an ending on Lake Powell where the main character had crabby opinions about “hippies” and more of the same shtick would have given the narrative a voice.